In the Garden of Eden first there was man and woman, then there was Eve. What happened to Adam’s first wife? Why has she been written out of history? This is her story. 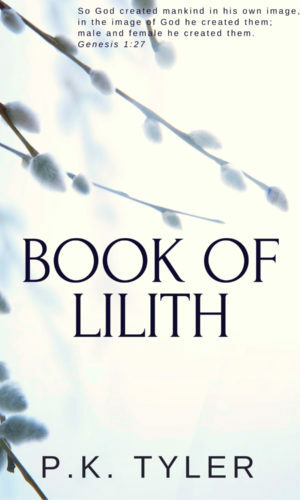 The book of Lilith is a short but very powerful story. Lilith was originally created by God not as Adam’s mate, but as his sister. On day Ya or God, gave Adam a task to name all of his creatures. Lilith wasn’t told anything. When she found out she was at first hurt then angry. She left and met the devil in the desert. She stayed for a while and created some offspring and then named them. After a while she went back to Adam and found Eve…Well, you must read the story to find out what happens. To me, it seems the author, P. K. Tyler has made the first woman “libber” in the form of Lilith. It is a very short story and well worth your time to read it.